If you enable group targeting, and your targeting excludes the probe computer for a client, no machines will be reported for that client. If you have no probe at any location for a client, no machines will be reported for that client. The alerts now are applied against the DC used for the AD information gathering, so it no longer generates alerts using probe agents. If you Exclude or Ignore the "computer", you are really excluding the Probe AD Controller Computer, and if you do this no machines will be reported for that client. There is no simple way to Whitelist machines that do not have an agent installed on purpose. You will just have to live with them being reported. To prevent a computer from triggering an alert if it should not have an agent, just update the computer description in Active Directory to have the word "Exclude". Examples: "Exclude From MSP Management" , "Excluded from Automate Agent deployment", etc. To Import: In Control Center, open Tools -> Import -> SQL File. (System->General->Import->SQL File in Automate 12) Select the file, and you should be asked to import 2 statements. (Cancel if it tells you a different number). The Monitor will be named "Domain Computer Without Automate Agent", and it should run every 6 hours. If you already have this monitor, you can safely import and it will apply the updates to your existing monitor. Has an update command been issued within the past day? Is the agent online? (lastcontact within past 15 minutes) Did the update command report failure? OR has the update command been executing/completed for over 2 hours? Is the agent version still out of date? After answering YES to all of these checks the monitor will report that the agent has failed to update. Insufficient Agent resources (low ram/disk space/available cpu) Another software install is in progress. The agent is pending a reboot. A file cannot properly extract from the update. (Check for ReadOnly attributes or invalid file/folder permissions for "%WINDIR%\Temp\_LTUpdate") A file is locked and cannot be replaced. (LTSvc.exe, LTTray.exe, etc. might fail to stop. A .DLL might be open or locked by AV or a third party program.) Nearly all of these are resolved with a reboot, so that is a good troubleshooting step after checking the file attributes/permissions. 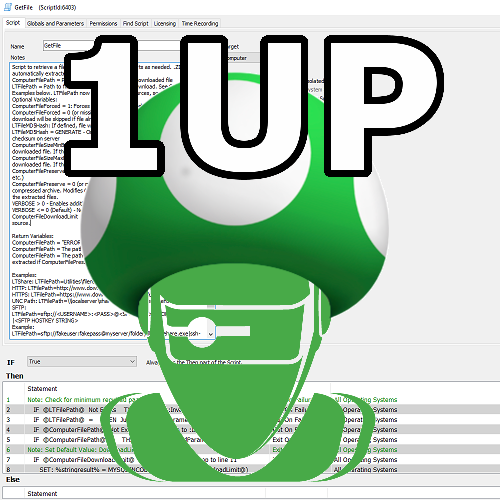 LTPoSh has an Update-LTService function. Calling this function through Control is a highly effective way to resolve update failures for Windows agents. LTPoSh (or other solutions) can be used to reinstall the agent using Control, PSExec, or any other method as your disposal. (I have used ESET Remote Administrator to execute an install command for example). Once a role has been detected for an agent, it will remain in the list of roles for that system even if the detection rule no longer applies. There are no timestamps recorded for role changes so it is impossible to know if the non-detection state is short term or permanent. This Internal Monitor will identify inactive roles on an agent, which creates a separate active alert for each role on the agent with a timestamp for when the role was first found missing. The RAWSQL monitor is three queries in one. The first one checks for any role that was reported missing more than 7 days ago, and deletes the role from the agent (based on the alert timestamp). The second query deletes role alerts from the history if the role is found to be active, or no longer exists on that agent. The last query is what actually detects missing roles to generate alerts. With the expired roles and alerts removed from the agent by the first queries, the active alert in the monitor will clear (heal) for that role also. If you want your roles to clear quicker, change the date adjustment in the first query from "-7 DAY" to whatever interval you believe is appropriate. This monitor has been updated/improved since it was first released. The attached SQL should safely update any existing version of this monitor and it is recommended that you update even if you have this monitor in place and working as this specific configuration may not have ever been published before.